The Most Wonderful Time of the Year….. The date on the calendar may not be January 1st, but for some of us, the fall season officially marks the beginning of a New Year. Kids go back to school, the weather cools and pumpkin spice flavored products abound. But more importantly, the new television season begins. Viewers can rejoice in a new season of Dancing with the Stars, get primed for the return of The Walking Dead or immerse themselves in weekends full of sports – football (professional and college), baseball (Let’s Go Bucs….please?) and hockey (but that will be with us until next summer). But which shows will make the cut? Adweek.com reported that new shows face their “make or break” moment in the first 15 minutes of the first episode. Peel – whose app turns smartphones into remote controls – found that “except for one instance, every fall show that ended up canceled had lost more than 30 percent of its premiere episode audience by the 15-minute mark.” Fifteen minutes to determine a win or a loss? Stunning. Other distractions abound! Fall 2016 brings with it a Presidential election and debates along with an endless cacophony of political advertising that seems bent on driving viewers away. And don’t forget about the lure of streaming – both Amazon and Netflix will be premiering new shows in the fall. 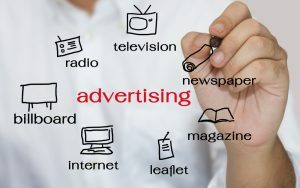 So how does a brand determine where to place their advertising in this type of media landscape? Simple, let the professionals help you! At Apple Box Studios, we have the experience, knowledge and tools to recommend the right mix and placement for our clients, along with the skills needed to ensure that what was planned, negotiated and placed on behalf of our clients is delivered. Who are you trying to reach? Think about age, income and education level. Where are those people located? Is a traditional approach appropriate or should it be a more non-traditional effort? Where can you best reach them? Where do they watch/listen/read/surf/stream? What is the best plan based upon the available budget? Maybe you should be looking outside of the “box” for your target audience. In an environment where 15 minutes matters, Apple Box Studios has the resources to make certain your ad dollars are wisely invested. So why not ask us how we can make the start of this New Year work for you and your brand? What do you think? Share your thoughts on out Facebook page?